WATER IN YOUR BASEMENT DOESN’T ALWAYS MEAN YOUR BASEMENT WALLS OR FLOOR IS LEAKING. When talking about heavy rains, building leaks and basement leaks we need to take into account the role that gravity plays in bringing water to its final destination – the basement. Consider this example: If your main floor kitchen sink is leaking behind the cabinet, do you think the water will reach your basement? Of course it will. If during a rainfall you can see water coming through a crack in the foundation wall, then you have identified a basement leak. However, if your basement is finished, finding the cause of your leaky basement is more difficult and requires investigation. Incorrect assumptions, inspection and lack of expertise are the main reasons homeowners spend money waterproofing a basement that isn’t actually leaking. If the source of the water in your basement isn’t properly assessed, you risk spending $1000s of dollars to fix a problem you don’t have! When rainwaterwater penetrates the roofline, water enters your home. When you have a leaking roof, 90% of the time you won’t see water pouring out of your ceiling. 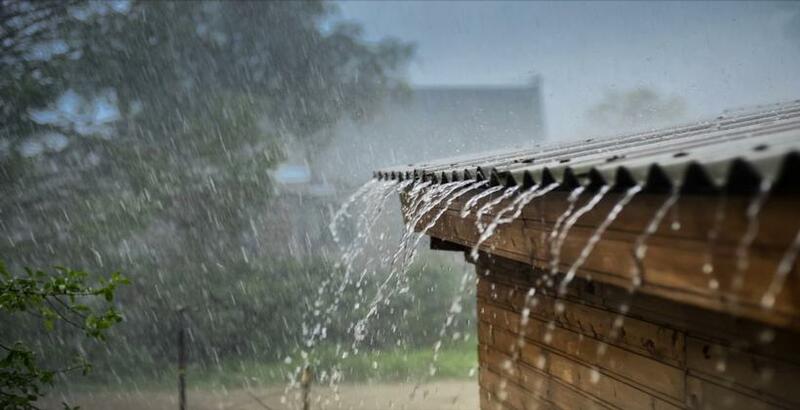 In most cases, minor roofing leaks result in water travelling along the roof trusses and then down the wood framing of the interior walls support beams. It is common for rainwater to make its way to your basement. That “leaky” basement may not be leaking at all! There are many possible weak points in your roof that water can penetrate. The only way to identify the location of a roof leak is to be in the attic during a heavy rain to see where the water is coming in. In many cases fixing the leak is as easy as re-sealing the spot where the water has entered. Window and door frames (including patio doors) are inserts into large openings in the building, making it necessary to seal around the frames with caulking to prevent water from penetrating the building. Caulking shrinks and dries as it ages and deteriorated caulking separates from doors, window frames and wall surfaces over time. When water comes into contact with deteriorated caulking, the water seeps into the building. Water, by gravity, drains down onto the top of the foundation wall(s) and often results in a leaky basement. We are professionals and have been in the business for over 30 years. We can identify the cause of a leaky basement and provide you not only the most cost-effective solution, but also the right solution! © 2019 Aquatight Basements. All rights reserved.